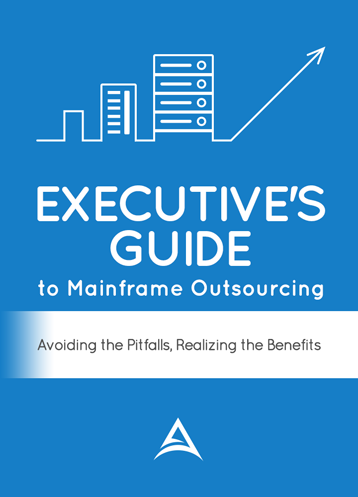 Accelerated Outsourcing provides unbiased, confidential, strategic consulting services for companies seeking a mainframe outsourcing provider. Based on your unique needs, we can offer the crucial support and necessary justification for making one of today’s most profitable business moves. OUTSOURCING EXPERTISE // Our consultants average 27 years of outsourcing experience. They have worked for outsourcing vendors, managed data centers, and implemented numerous outsourcing engagements. They know the industry inside and out. CONFIDENTIALITY // Internally and externally. We use the utmost confidentiality when conducting a search, to prevent annoying vendor calls and to avoid any internal concerns. TIME SAVINGS // An effective and comprehensive outsourcing search can drain you and your resources for months. Working closely as a trusted advisor, Accelerated Outsourcing experts will streamline and facilitate the outsourcing task. COST SAVINGS // Without a doubt, the biggest benefit of outsourcing is the huge amount of savings you’ll obtain by working with Accelerated Outsourcing. We will help you maximize your savings and avoid hidden costs. COMPREHENSIVE SEARCH // There are hundreds of providers, each with any number of options. Could you be overlooking the right outsourcing vendor for your company? It’s our job to make sure we identify the best vendors for your company. RECOMMENDATIONS // As insiders of the outsourcing industry (with no affiliations to any specific provider), Accelerated Outsourcing can give you the expertise without the bias. JUSTIFICATION // One common obstacle you may encounter is convincing others that outsourcing is the right move. Let the data/facts do the talking. We have examples and statistics that will help communicate the benefits, efficiencies, and cost-savings associated with Accelerated Outsourcing. NO RISK // Only Accelerated Outsourcing offers a money-back guarantee on our services. It is our mission to meet or exceed all expectations.